Part # DL1SP13 Dually Valve Kit Sprinter 2012-Present, Accu-Pressure Safety Products, Inc. Vehicle Outer Dual Wheel Wheel Hand-Hole Size: 1.5"
Duallyvalve stems DO NOT work with INTERNAL TPMS. Duallyvalves can work with External TPMS that go on the end of the valve stem. Having Duallyvalves makes it difficult for the tire shop to balance your inner tires on a standard machine due to the long inner valve stem. Duallyvalve is compatible with internal Balancing Compounds. Having Duallyvalves make it difficult for the tire shop to rotate your tires. Inner stems, Outer stems and Front stems are all different. You can rotate Inner with Inner, Outer with Outer and Front with Front. 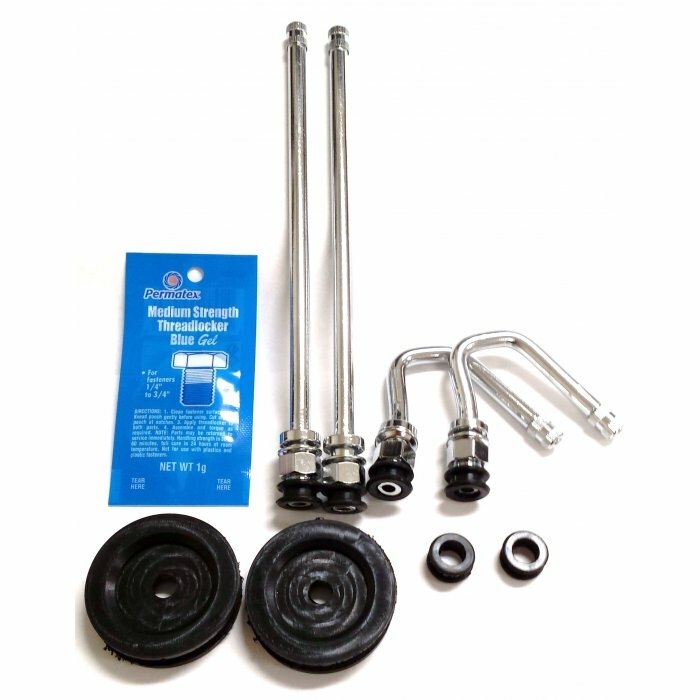 To reduce potential future air leaks; we recommend after 5 years replacing the rubber seals on the valve stems in the Dually Valve Kit. Just give Duallyvalve a call 954-292-2508 and we would be happy to help you get what you need. NOTE: Some Aluminum wheel valve stems do not have replacement grommets.